When Sarah comes home after her hen night, she finds a letter instead of her soon-to-be husband. James, her fiancé, is calling off the wedding and has left the apartment. Sarah is devastated and can't believe that the man she's been with for seven years has coldly broken up with her via a letter. Sarah decides to go back to work immediately, but isn't ready to tell everybody what happened yet. When a coworker is not available to do a tour Sarah is the one who takes over. Instead of crying about the wedding that didn't happen Sarah finds herself on her way to Venice to do a group cycling tour. Will she be able to use this opportunity to get her emotions sorted out? Sarah is so brave. She's been committed to her relationship with James one hundred percent. She even changed her job when James had problems with Sarah being away for tours. Sarah loves to cycle and always enjoyed being a tour leader. During all of those miles on the road she slowly learns that James leaving her might not have been so bad after all. Sarah is good at her job, she's a professional and knows what she's doing and now she can do what she wants again. She's responsible and I liked that a lot about her. I loved to read about how she manages to pull herself together and how she slowly opens herself up to love once more. I was rooting for her all the way till the end. I'm not a cyclist by any means, but after reading To Rome, with Love I'm in awe of groups with people who cycle many miles. I admire the people who have the strength to travel from Venice to Rome on their bike. I loved reading about the surroundings and the descriptions of the food they eat on their way made my mouth water. I've always been fascinated by group dynamics, so I found it interesting to learn more about how strangers are bonding during their vacation. I have never been to Italy, but after reading this story I had to stop myself from booking plane tickets right away. T.A. Williams has written an easy, happy romantic story, which made me feel the warm Italian sun on my skin. I would definitely love to read more of his novels. 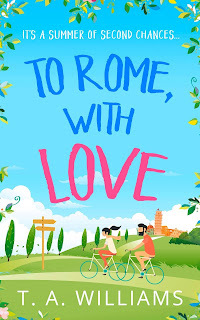 To Rome, with Love is a perfect feel good story. 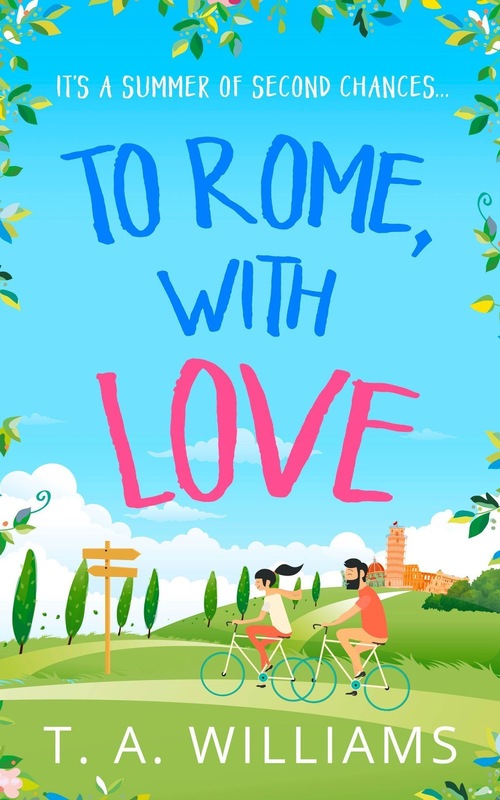 If you'd like to escape to Italy for a while and read about a wonderful second chance at love, I highly recommend To Rome, with Love. 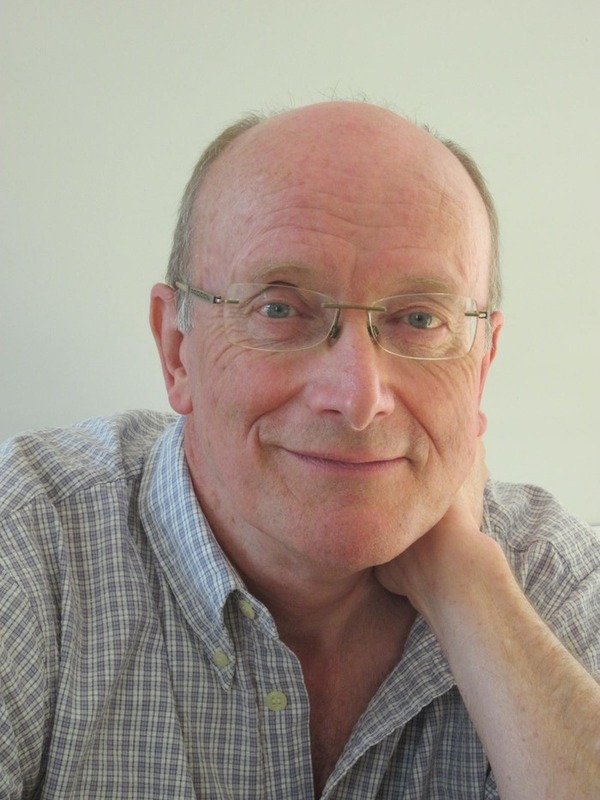 Trevor (TA) Williams talks about how he wrote his latest book, To Rome, with Love. So, a few years ago, a group of us flew over to Venice and set off on a 1000km bike ride from there down through Italy to Rome. It was a great trip and we visited some amazing places. By the time we reached the end, I knew I wanted to use this in a book. I fiddled around with the idea on and off for a few years until, last summer, a story started to emerge. In brief, a girl goes on a charity bike ride and falls in love. I scribbled a synopsis and sent it to Charlotte, my lovely editor at HQ Digital (Harper Collins) for her comments. She replied, telling me she liked the idea and suggesting a number of modifications. In particular, she suggested that the main protagonist, Sarah, should start the book on the receiving end of a crushing blow. The blow she proposed was for poor old Sarah to have been jilted, left at the altar by her fiancé. So, I set about ruining Sarah’s life, feeling pretty cruel as I did so. I’ve never left anybody at the altar in my life and I’ve never been in that situation, so it took a good bit of imagination to put myself in Sarah’s shoes, feeling that her whole life has just been turned upside down. The next question was just exactly what she was doing on the bike ride in the first place. It seems unlikely that she and her husband-to-be would have chosen a bike ride as a honeymoon (not impossible, just improbable) so why should she find herself shooting off to Italy on a bike only a matter of days after her abortive wedding? The solution I hit upon was work. She has to do this because that’s her job. Charlotte wanted her to be a journalist, but I preferred to make her an employee of the travel company responsible for the trip. That way, she’s got the do the organising and look after everybody with a big cheery smile plastered all over her face. Not so easy when you’ve just seen the happiest day of your life torpedoed by your selfish fiancé. So she’s a tour guide on a charity bike ride. I knew where the bike ride was going, so that wasn’t a problem. The big question now was just who was going to be on the bike ride with her and, in particular, if she was going to find herself attracted to one of them. I decided upon two brothers, both hunky and handsome but, while one is flirty and clearly fancies her, the other is solemn, distant and not interested. So far so good, but why doesn’t she go for the flirty one and why doesn’t the other one fancy her? Have you ever seen a movie called Sabrina, with Humphrey Bogart and Audrey Hepburn? In the film, Sabrina falls in love (or thinks she does) with the flirty brother, played by William Holden, only to end up in the arms of the serious brother (Bogey). Would that work in this day and age, I wondered? Somehow, there was something about it that just didn’t ring true. How to fix it? I can’t really tell you how I managed to fix things without giving the ending away, but I hope you can see from this that the story didn’t just emerge on the back of a postcard one day and leap from there onto the page. There was a lot of chopping and changing involved and a lot of serious thought. I think I’ve got it right, but I await the verdict of the readers. One very lucky winner will receive a digital copy of What Happens in the Alps... by T.A. Williams. Great reviews. I did not read this book so far. But now really I want to read . Your review post made me more interest in that book.